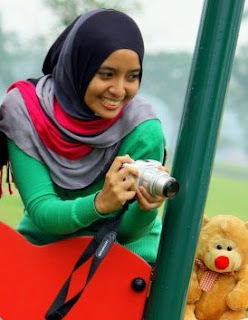 Given name is Nadira Syazwani also known as Iera/Wanie among her friends and family, was born on Labour Day 1989 in Johor Bahru. She is the youngest in the family and grown-up in Rembau, Negeri Sembilan. Gifted as left handed person, indeed she is feeling oriented and talented in arts. Other than dancing and drawing, she also interested in photography since high school in Sekolah Menengah Sains Seri Puteri, but during that time, to own a digital camera was impossible. She then furthers her studies in UTP (Universiti Teknologi PETRONAS) degree in Information and Communication Technology (ICT). She has participated in lots of events as committee member especially in Promotion and Publication Department and has given the opportunity to know people with same interest in photography. Bought her first camera Olympus Pen EP1 on December 2009, she started joining new friends and seniors in #kakiphoto (MIRC Group) for outing and learns photography skills. She enjoys uploading all the photos captured in her flickr. Currently working in one of the consulting company, she is desires to buy her new "gear" for job aid in Darkspoon Photojourney. Just join in October 2012, I feel so glad and happy being part of Darkspoon Photojourney. Thanks for all the supports and opportunity to contribute to this team. Let the journey, begins here!